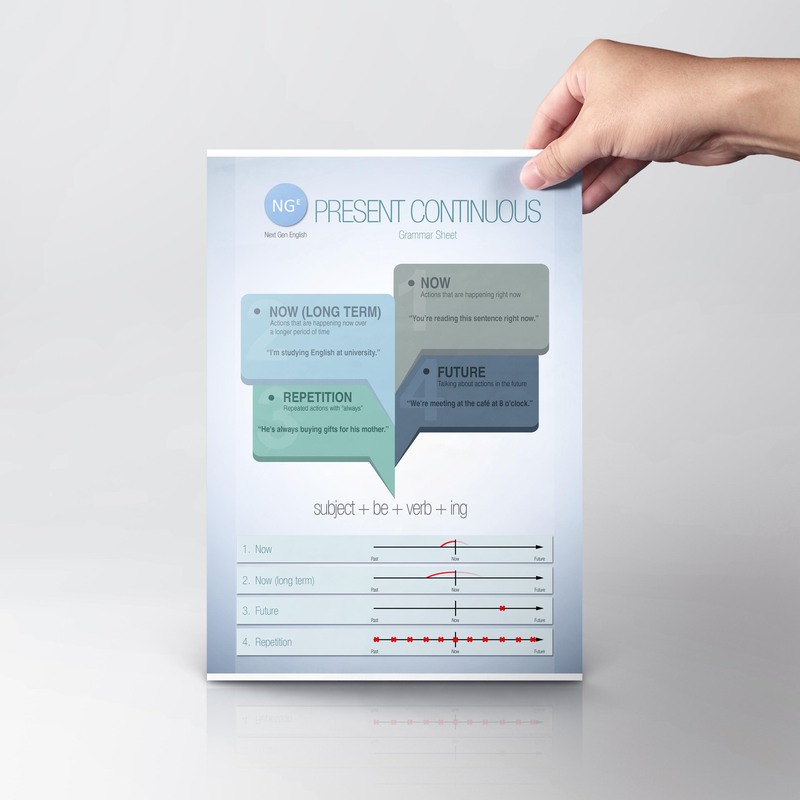 What is the present continuous and how do we use it? There are four main uses of the present continuous tense in English. To talk about the future. For actions that have started, and are still in progress as we speak. Example: She‘s saving up for a new computer. Example: She isn’t saving up for a new computer. Example: Is she saving up for a new computer? Example: They‘re coming to my house at 7:00 to watch the match. Example: They‘re not coming to my house to watch the match. Example: Are they coming here at 7:00 to watch the match? Example: He‘s always checking his phone during meetings. Example: He isn’t always checking his phone during meetings. Example: Is he always checking his phone during meetings?